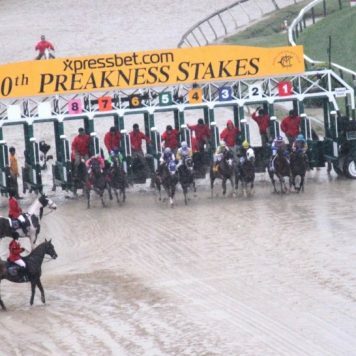 New to the Preakness? Wondering where to go, how to get there, and how to have a great time? 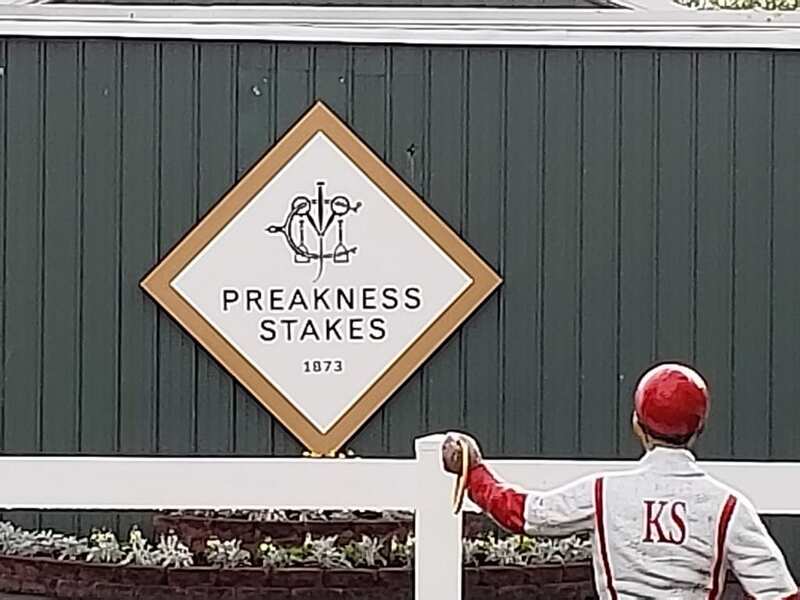 Here are our five simple tips to having a great time at Preakness 143 — or making your 2018 Preakness the best one yet! Arrive early and take mass transit to Pimlico. Forget about driving to the track. Drive or take the subway to the Rogers Avenue station and then the shuttle bus to the track. When you leave Pimlico, you won’t be caught in traffic. However, if you do decide to drive to Pimlico, get there early to access parking options. The card starts in the morning in any case, but it’s fun to be there before the crowds. 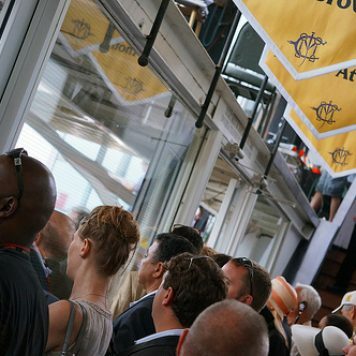 That gives you plenty of time to check out the scene, do some handicapping, and engage in some of the best people-watching you’ll experience all year. Do some handicapping in advance. 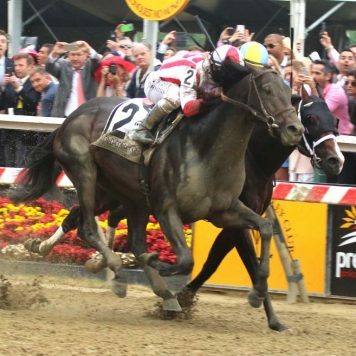 Download the Preakness Day card from preakness.com to see what horses are running in each race. 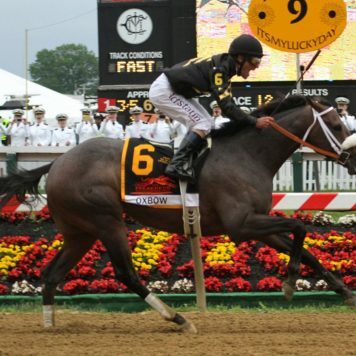 Check out theracingbiz.com for picks from our expert handicappers, as well as profiles of every horse in the big race. Don’t be afraid to make some wagers. You may not be an expert pony-player, but neither are most of the other people who’ll be at Old Hilltop. Learning how to read the racing form and handicap the races can be fun, but if it’s all Greek to you, don’t despair. 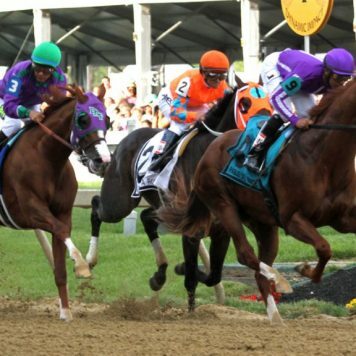 Feel free to play based on your lucky numbers, the colors of the jockeys’ silks, or the horses’ names. You can have just as much fun – and make just as much money – as the experts. Do you feel lucky? Wander through the vendor areas. 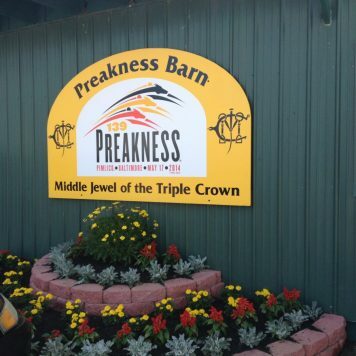 In addition to finding souvenirs to remember the 143rd Preakness, check out the vendors who showcase racing art (painting and photography), jewelry and more. And of course, what’s a visit to the Preakness without a Black-Eyed Susan in a Preakness glass? Keep your eyes open. You never know who or what you will see at the Preakness. 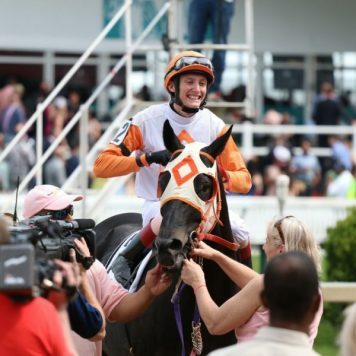 From flyovers to the Navy band to celebrities, the Preakness is part horse race, part spectacle, and part party — and all fun. It’s a great day that attracts at crowd of people from all walks of life. 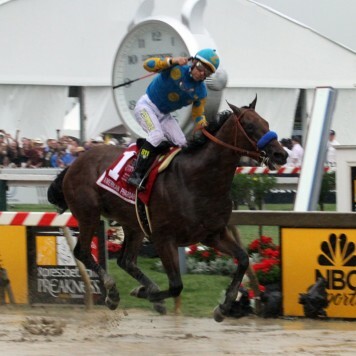 Cloud Computing wins the Preakness, one of the contenders for moment of the year. Photo by Laurie Asseo. Exaggerator and Nyquist. Photo by George Adams. Trevor McCarthy all smiles aboard Ben’s Cat. Photo by George Adams. American Pharoah, one of Dave Rodman’s most memorable calls. Photo by Laurie Asseo. 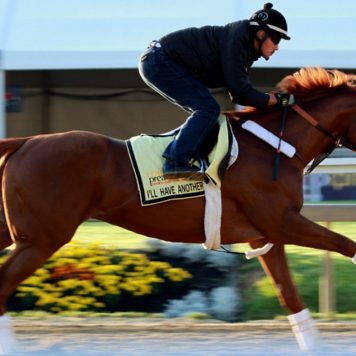 Divining Rod training before the 2015 Preakness. Photo by Laurie Asseo. First time by. Photo by Laurie Asseo. Oxbow. Photo by Laurie Asseo. Pre-Preakness crush. Photo by Vas. I’ll Have Another. Photo by Laurie Asseo. 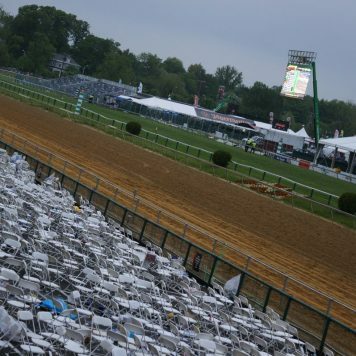 The state of Maryland’s racing facilities – frontside and back – is one major issue. Photo by The Racing Biz.